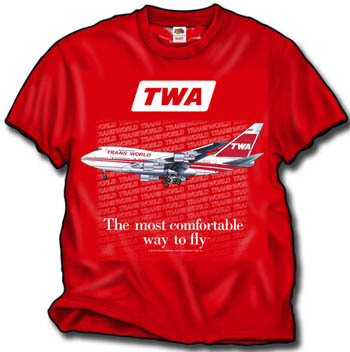 Now, an aircraft t-shirt of a plane that never was! 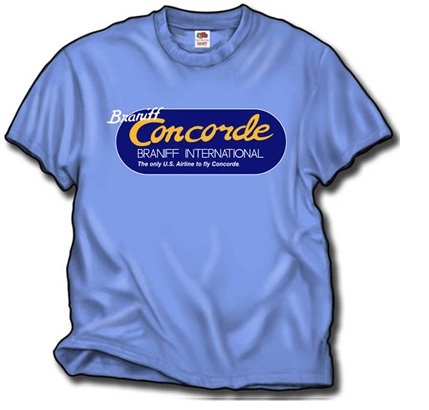 The Braniff Concorde operation existed for a short while as an extension of British Airways Concorde service onward to Dallas from JFK. 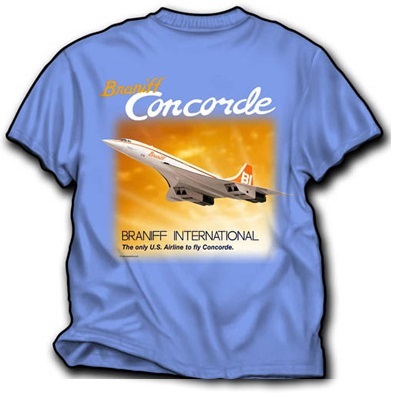 There was quite a bit of publicity around the upcoming Braniff painted Concorde, but it never got that far before plans were scrapped. Printed both sides on a Iris Blue Heavyweight Gildan shirt!